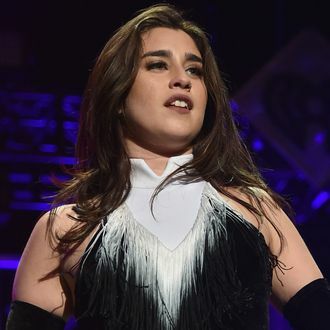 It seems Fifth Harmony’s Lauren Jauregui had quite the hiccup attempting to travel outside the country last night. TMZ reports that Jauregui was arrested at Washington Dulles International Airport on Tuesday night for marijuana possession. According to police, the 20-year-old singer was stopped by TSA for a secondary search during which she was busted for allegedly having a bag of weed in her carry-on luggage; she was then arrested in the terminal. Jauregui, who recently penned a scathing open letter to Donald Trump voters and also released her first semi-solo single, had been in the process of flying to Brazil to perform with Fifth Harmony. It appears, now, she’ll just have to — wait for it — work from home.